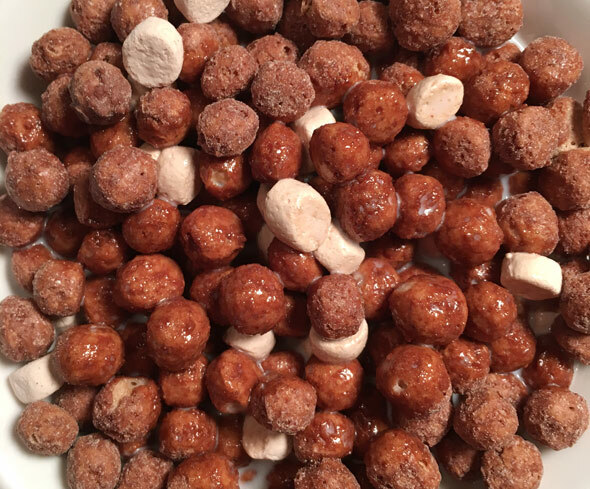 This cereal consists of chocolate flavored corn puffs and chocolate flavored marshmallows. The package boldly proclaims, "Love it or it's free." Since the company sent me a sample, I already got it for free, but the question remains... did I love it? This cereal tastes a super lot like Cocoa Puffs. In fact, it might even be little bit better. It's crazy chocolatey. The marshmallows really compliment the 'cocoa puffs'. Instead of seeming like a distinct and different flavor and texture, they blend in more and sometimes aren't that noticeable - except for an additional burst of sweetness. The puffs retain a degree of crunch for about 6 or 7 minutes in milk. When they soften, they're still great. The milk left at the end of a bowl is very brown, very chocolatey and very delicious. 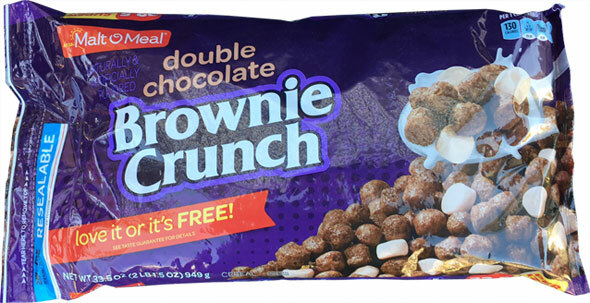 To my adult sensibilities, Double Chocolate Brownie Crunch is just a little too sweet. I actually preferred the rare bites that didn't have any marshmallows. 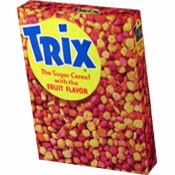 To what I remember of my kid sensibilities, I would have gone nuts for this cereal. So did I love it? I kinda did. If you like chocolate cereals, you're probably going to like it too. It is NOT a healthy cereal. It has 18 grams of sugar per serving and less than 1 gram of dietary fiber. If you feel like you deserve a treat for breakfast, give this one a try. Nutritional Considerations: Each one cup serving of Double Chocolate Brownie Crunch has 130 calories, 1.5 grams total fat (0 saturated and 0 trans), 0 mg cholesterol, 115 mg sodium, 29 grams total carbs, less than 1 gram dietary fiber, 18 grams sugar and 1 gram protein. The $0.00 price below indicates that a sample package of this product was provided to us by the company. 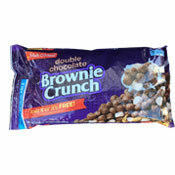 What do you think of Double Chocolate Brownie Crunch? Fell flat to me. Won't miss it if it leaves.